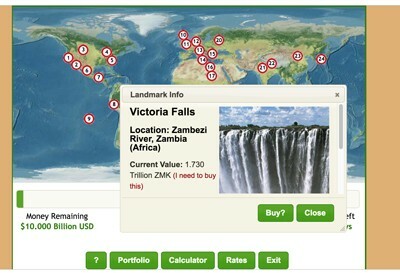 Description: How well do you know where in the world animals live? 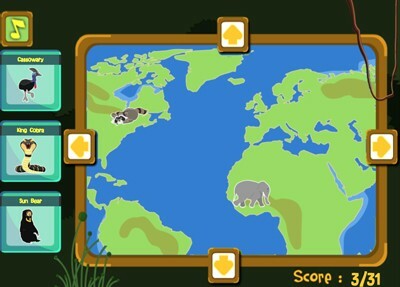 Drag and drop the animals to their continents. There are 31 total animals. 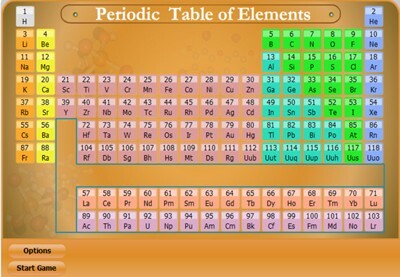 If you correctly place 28 or more, you can print out a gold medal certificate with one of the animals. There are 31 total certificates you can earn, so play often and trade with your friends to collect them all. 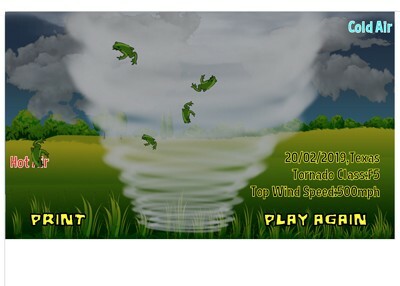 Description: This wildly fun activity challenges students to spawn powerful tornadoes with their typing skills. The faster a students can type the "tornado-themed" words that appear, the more powerful the tornado becomes. Students have 25 total seconds to type as many words as possible. If students can produce super-massive tornadoes , exceeding 500 mph, their tornadoes can turn into sharknadoes, pignadoes, frognadoes, and other kinds of tornadoes. 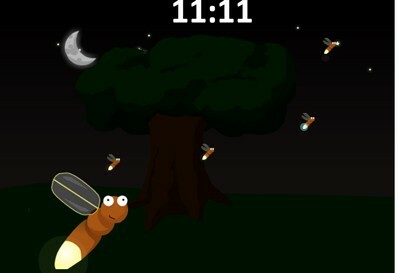 Description: Firefly Nights in a mesmerizing game that requires students to build and identify the flash pattern of their personal fireflies, among an ever-increasing number of flashing fireflies. 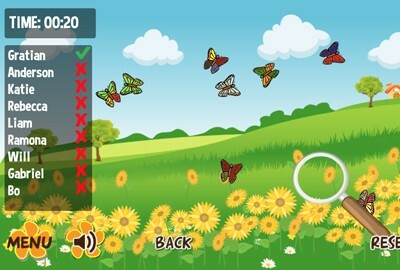 Description: Design and name your butterflies and release them into the wild? How fast can you catch them? The twisting and turning butterflies are difficult to catch. Loads of fun! 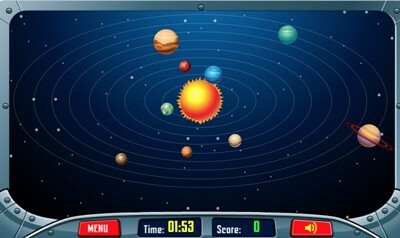 Description: In this fun game a spacequake occurs, which shuffles the order of the planets. Students must rearrange the orbiting planets in their correct order from the sun. If students successfully complete the game, they can print out a collectible certificate featuring one of the planets. Students can try to collect all eight planetary certificates (plus Pluto) or can trade with friends. 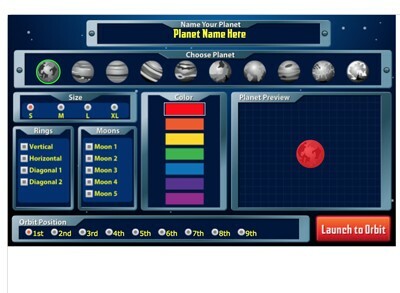 Description: This fun game allows students to create and print their own solar systems. 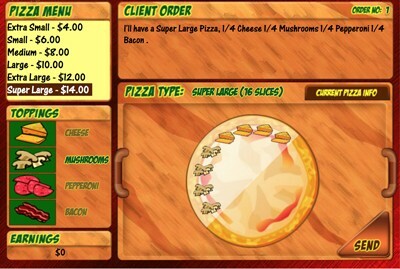 They can specify planets, planet names, planet sizes, planet order, and whether or not planets have rings or moons. 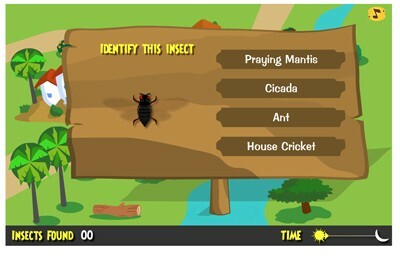 Description: This game allows students to mix and match the parts of six different insects to create their own superbug. 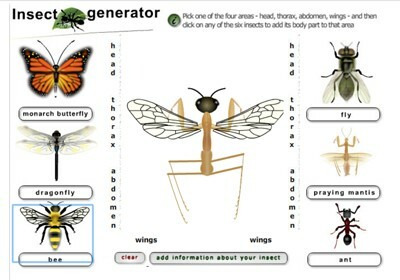 Students can enter text to name their bug and to describe it. It prints out beautiful and works on all devices. 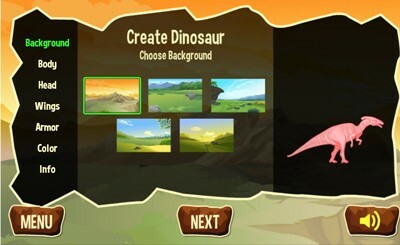 Description: Make and Describe Your Own Dinosaurs - Flash Required. VERY FUN! Description: This video will show you how to play Animal Idol. Description: Welcome to Animal Idol. 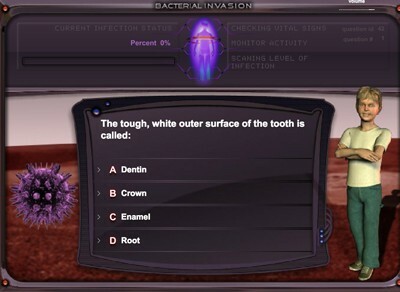 In this game, your knowledge of the the animal and plant kingdoms will be tested like its never been tested before. 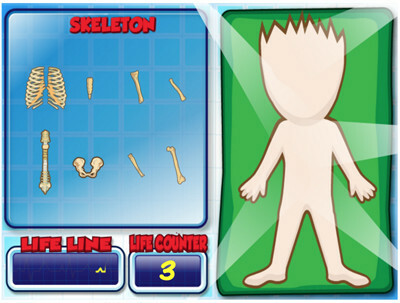 Unlike American Idol, you won’t have to sing, but you will have to answer questions about animals, plants, and biomes. Each round has a different theme and the questions are tough. 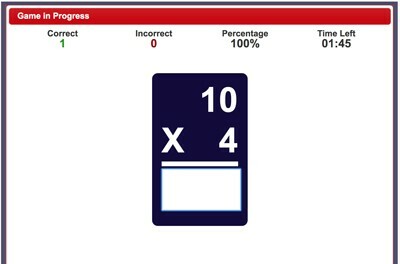 To make it to the next round, simply score five correct answers and score at least 50 percent. 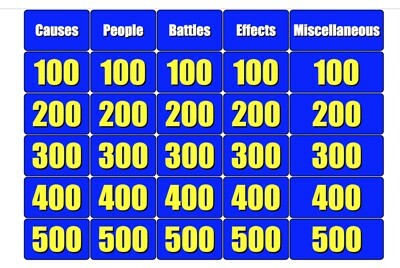 For example, if you get five correct, but get eight incorrect, you will be eliminated, but if you get five correct and four incorrect, you will survive. After every round, you’ll endure criticism by the three judges, Randy Jackal, Paula Impala, and Simon Cow. 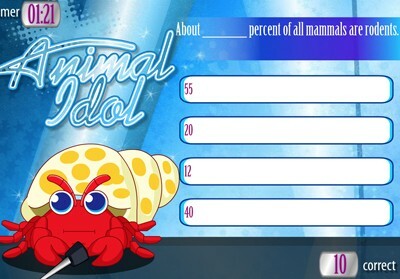 Can you be the next Animal Idol? 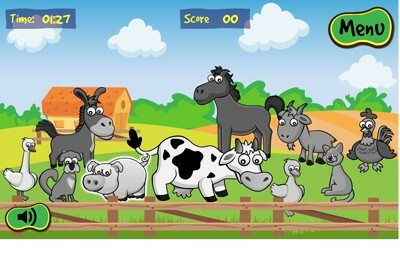 Description: This hilarious game features the "farm fox," who curses the other animals of the farm by rearranging their sounds. Students must reverse the curse, by dragging and dropping the correct sounds to the correct animals. For example, for a barking cow, the student would have to drag the "bark" sound to the dog. 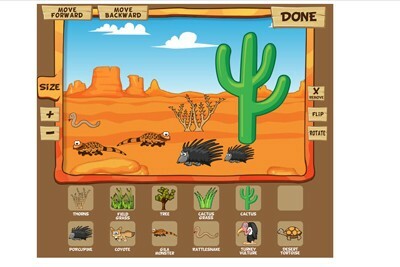 Description: This incredible game allows students to explore North American birds. There are two modes. Free coloring allows students to choose from any of 27 North American birds such as the Mallard, Canada Goose, Cardinal, Eastern Bluebird, Bald Eagle, Red-headed Woodpecker, and many others , to color online. Pictures can be printed out as well. The challenge mode is requires students to actually know the correct colors of the birds. In each picture, arrows will point to different parts of the bird. 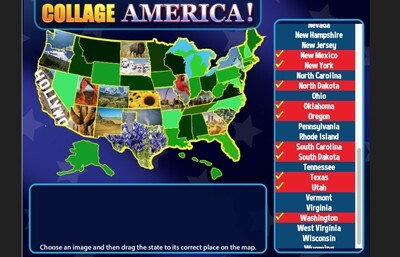 Students must select the correct color to fill in for each part. For example, for the Bald Eagle, students would use white to fill in the head and tail, brown to fill in the wings and back, and yellow to fill in the bill. There are three rounds. 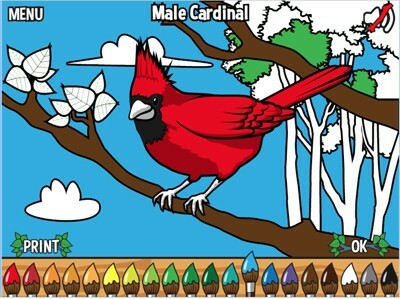 For each round a student completes, he or she earns a special certificate with all of the birds correctly colored. Individual pictures can be printed as well. 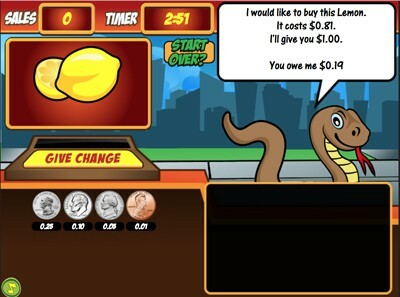 Description: This fun (and very simple) game simply requires students to select a color. 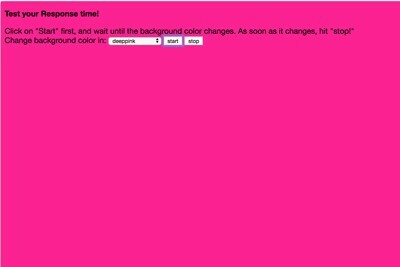 When the background of the page changes to the selected color, the student clicks "stop." The program times (in milliseconds) how fast students react! Very fun. 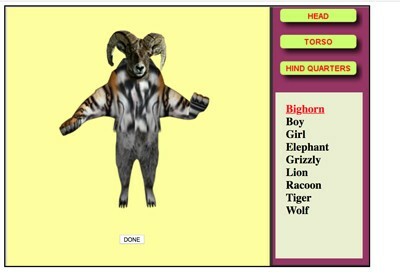 Description: This fun game allows students to make their own crazy mammals from parts of ten different ones. 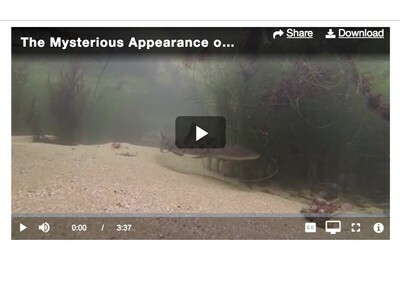 Then, they can name it, describe it, and add a habitat and range for their creation. Description: Oh No! The world's greatest skateboarder, Lonnie, had an accident and it's up to you to save him. Put all of his organs and bones back in the correct spots and you'll be a hero and Lonnie will live to skate another day! Description: Recycle! 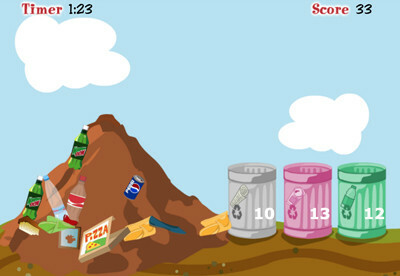 is an online game that shows students how easy it is to recycle. Students have three minutes to recycle as many items as possible into the plastic, aluminum, and paper containers. See if you can recycle 60 items! 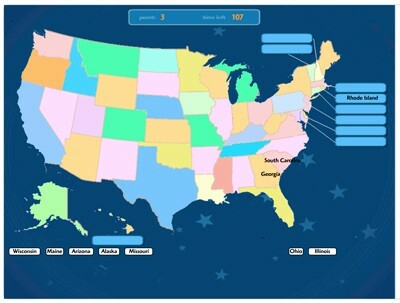 Description: This is a "jeopardy" like game on United States Presidents. 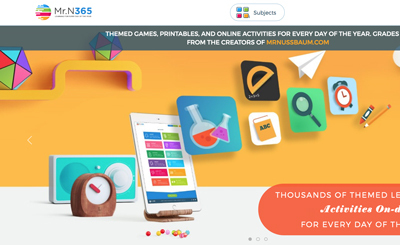 It's super fun for classrooms, individuals, or small teams, totally customizable. Uncheck "teams take turns" to make it more exciting for kids.